During the fall, when I'm not busy working, you can almost always find me curled up some place with a good book and a hot beverage. I especially love sitting on my porch in the early morning, enjoying the nice cool breeze, the quiet of nature, and the beautiful scenery while I sip a nice cup of coffee. 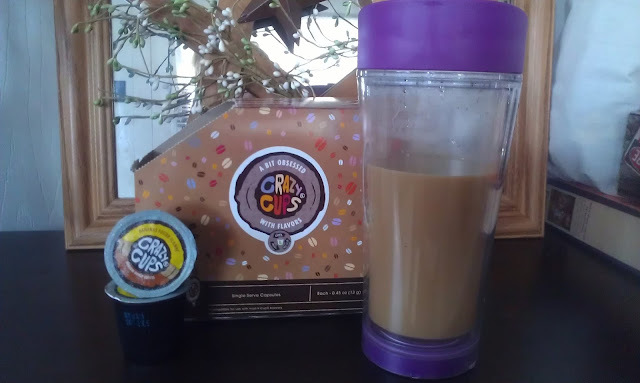 I can get bored with plain coffee and I love to mix it up with different flavors. Crazy Cups not only delivers on taste, but it delivers when it comes to flavor variety. This month's flavor is Bananas Foster Flambe. Admittedly, I was a little unsure about it, but I brewed myself and my hubby up a couple of cups and added our usual two scoops of sugar and creamer and together we took our respective sips. Hubby was highly impressed at how well the rich flavor of the coffee combined with the smooth flavor of the bananas. It was like having your dessert and breakfast together in a cup. The best part? It tastes just as good as an iced coffee as well! Click HERE for a guide to brewing Crazy Cups over ice. While you are there, check out their two new flavors, Pina Colada and Blackberry Bliss! Also sign up for their rewards program and earn points towards awesome discounts on your next order! 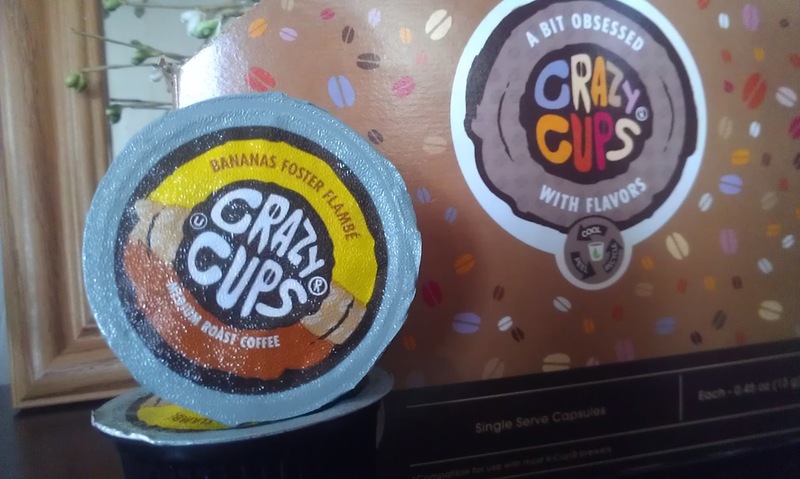 Want to win a box of Crazy Cups Banana's Foster Flambe? Bananas Foster Flambe Coffee Giveaway! 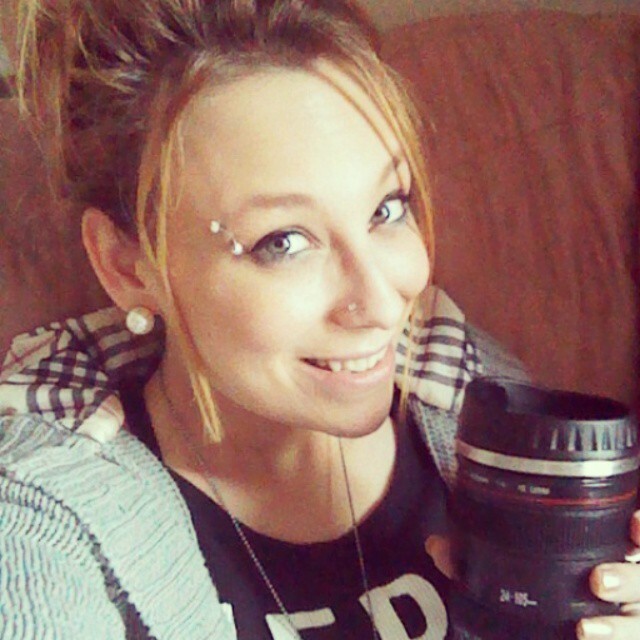 *I am a Crazy Cups Coffee Ambassador. I was provided a box of cups to facilitate my review and/or giveaway. My opinions have not or will never be influenced in any manner. I would love to see turtle cheesecake made into a coffee. How yummy would that be. I would love to see one that Red Velvet! I love black forest cake, that would be amazing as a coffee flavor! I would have to say pumpkin spice, chocolate mint, mint, chocolate peanut butter cake....I love dessert flavored coffee and good luck everyone! I'd like to see baklava! I would love to see cheesecake as a flavor! I would love my favorite dessert...Turtle Cheesecake....mmmmm that would be awesome! I love Baklava. That would be a great coffee, nutty, cinnamon and sweet! Cookie dough or lemon meringue pie. My favorite desert is strawberry cheesecake. I would love to see carrot cake but my favorite dessert is Ice Cream so it would be interesting if that was a possibiliy=ty in a coffee. I would love to see Mississippi Mud Cake as a coffee flavor. YUM! I'd love to have a tiramisu flavor! I would love to see a Boston Cream Pie flavored coffee. I would love to see Coconut Cream Pie or Pecan Pie! I'd like cherry cordial coffee.